For many obese adults, the die was cast by the time they were 5 years old. A major new study published in the New England Journal of Medicine ((full article here) of more than 7,000 children has found that a third of children who were overweight in kindergarten were obese by eighth grade. And almost every child who was very obese remained that way. Some obese or overweight kindergartners lost their excess weight, and some children of normal weight got fat over the years. But every year, the chances that a child would slide into or out of being overweight or obese diminished. By age 11, there were few additional changes: Those who were obese or overweight stayed that way, and those whose weight was normal did not become fat. 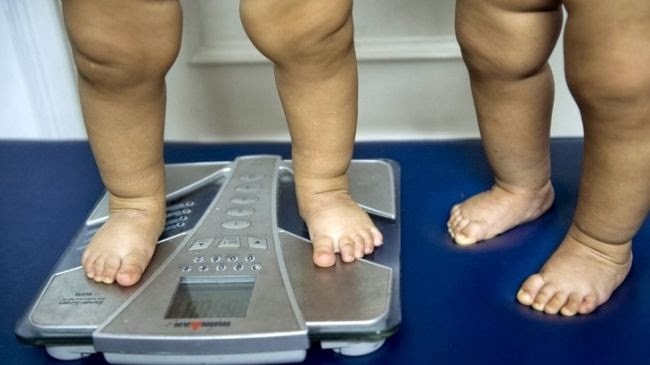 “The main message is that obesity is established very early in life, and that it basically tracks through adolescence to adulthood,” said Ruth Loos, a professor of preventive medicine at the Icahn School of Medicine at Mount Sinai in New York, who was not involved in the study. Experts say they may reshape approaches to combating the nation’s obesity epidemic, suggesting that efforts must start much earlier and focus more on the children at greatest risk. The findings do not explain why the effect occurs, but the results do provide a possible explanation for why efforts to help children lose weight have often had disappointing results. The steps may have aimed too broadly at all schoolchildren, rather than starting before children enrolled in kindergarten and concentrating on those who were already fat at very young ages. For more information, please contact Susan Motika at susan.motika@state.co.us. The full text of the article in the New York Times can be found at Obesity Found to Gain its Hold in Earliest Years .